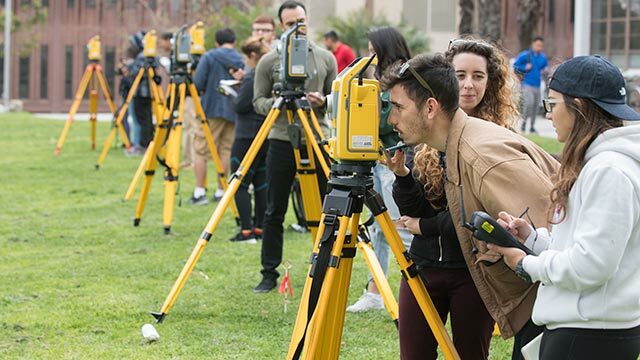 U.S. News & World Report has named Cal Poly Pomona among the top colleges and universities in the Western United States on its “Best Colleges 2019” list. The university ranks No. 4 among the “Top Public Schools” in the west and No. 28 among all universities and colleges in the western region, which includes 15 states in the U.S. News & World Report compilations. Cal Poly Pomona was also recognized in the category “Best Undergraduate Teaching,” at No. 8 in a six-way tie among the western regional universities. The College of Engineering continues to be ranked among the best in the nation, where the highest degree is a bachelor’s or a master’s. The college was placed at No. 11 nationally in the category “Best Undergraduate Engineering Programs” and No. 4 among public universities. The civil engineering, computer engineering and electrical engineering programs all tied for No. 5 nationally, among both public and private universities. For the 2019 rankings, U.S. News & World Report adjusted their rankings formula to include more emphasis on “social mobility,” or how much a university helps students improve their economic standings. The new social mobility indicators account for 5 percent of the ranking formula. This year’s formula is based 35 percent on outcomes (up from 30 percent) including social mobility, graduation and retention rates and graduate performance. Faculty Resources (i.e. class size, faculty salary, proportion of full-time faculty, student-faculty ration and faculty with highest degree in their field) contributed 20 percent of the score. Measures of expert opinion, financial resources, student excellence (decreased from 12.5 percent to 10 percent), and alumni giving are also included in the formula. Student acceptance rate was dropped from the scoring this year. CSU campuses took 11 of the 15 spots on the “Top Public Regional Universities” in the West list. To view the entire rankings, visit https://www.usnews.com/best-colleges/rankings/regional-universities-west/top-public.